Can Ogilvy end ‘The Big Tease’? Watching the ‘Fountain of Youth’ World Golf Championship at Dove Mountain in Arizona reinforced a number of things for me. The European performances reinforced that they are the dominant force in golf at present, although the performance of the home grown Americans was a reminder that the gap is not large. It also showcased again that the future of the game is in very good hands as evidenced by the performances of the ‘Bieber Bracket’ of Ricky Fowler, Matteo Manassero and Jason Day, let alone all the other under 30s that made the field in the first place. At 26 and already a major winner, Martin Kaymer narrowly avoids that category but the message that youth is on the rise was not lost on anybody. Fowler’s victory over Phil Mickelson in the second round in particular, was as resounding a demolition as we’ve seen in recent years. Did anyone else notice how ‘old’ he made Phil look when they shook hands at the end!? Before we start kidding ourselves that the older guard are ready to start passing the torch, however, let’s remember all of this hoopla has occurred at a stage in the season before Jack Nicklaus used to start his, back in the days when he dominated the world of golf. The ‘older’ brigade will remind us all soon enough that the kids have a fight on their hands. Although he was dusted in the third round in Arizona, one of the aforementioned ‘older’ brigade who possesses all that is needed to be a world number one had me wondering ‘Can this finally be the year?’ where an era of dominance can truly start. I’m not talking about Lee Westwood or any of the other popular aspirants to the throne since Tiger’s fall. 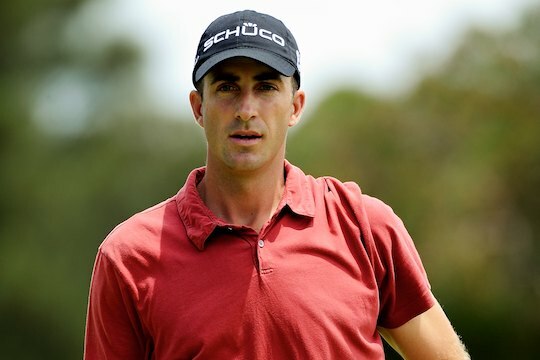 The guy in question: Geoff Ogilvy. For the past six years, 33-year-old Ogilvy has teased us with his sublime talent, winning 10 times as a professional. Tellingly however, seven of those victories have occurred on the PGA Tour at the rate of about one per year, highlighted by his victory in the US Open of 2006 at Winged Foot and his recent efforts at the US Masters. Adding further impetus to his World No.1 audition is that the bulk of his victories have been in the big events on tour with the best fields on show: the US Open, three World Golf Championship events and twice a winner of the season opening ‘Tournament of Champions’ event in Hawaii. Beyond his golf, he ticks off all the other boxes the golfing world wants from its No.1 player – a clean, family man image (married with three young children), the kind that Palmer and Nicklaus had their entire career as did Woods, until that charade came crashing down. A philanthropist both in the United States and his native Australia, with the Ogilvy Family Foundation amongst several initiatives he has established and supported, humility, approachability, intelligence, an unflappable demeanour on the course, a willingness to ply his trade around the world and highly important in this modern age, a Twitterer! Ogilvy has long been regarded as the best golfer on the planet by far in terms of his dealings with the media, both in the time he commits and in his interesting, thoughtful and often forthright contributions. In an era dominated by what could be described as the formulaic pursuit of golfing excellence, think ‘stack and tilt’, ‘bomb and gauge’ and golf coaches with stratospheric personas, you’d be hard pressed to find a more graceful swing and tempo to tell a kid to go copy than Ogilvy’s. Even when he’s swinging it poorly, other tour pros still stop to watch. When he’s on song however, he’s virtually unbeatable with a potent mix of length, course management, a deft short game and a reserved confidence in his own capabilities. He’s had a few pleasant distractions to world dominance along the way that we can excuse him for – three kids under the age of five will do that to you, and a few unpleasant ones like the coral outcrop in Hawaii that postponed his 2011 assault by way of 12 stitches in his right hand. A worrying trend that he will also have to overcome along the way is his penchant for winning early in the year on the PGA Tour but fading thereafter. Six of his seven PGA Tour victories have occurred in the early months of the season, with his US Open victory in June the only tournament he has won beyond March 24. The timing of the birth of his children and injuries may have played a part in that trend but it’s all been part of the ‘tease’ until now. I would stop short of saying the world of golf ‘needs’ him as a world No.1, but there’s little doubt that if he can lift his game more often to the level he is capable of, the sky’s the limit in terms of how dominant he can be in the next few years. While he won’t command the ‘rock star’ presence of a Woods or Norman, on so many fronts he would be a world No.1 we’d like our kids to emulate both on and off the course.